Where are those Tesla chargers near Yarrawonga???? At a winery in Rutherglen ! Thanks Reecho , Type 2 being the Tesla connector , right ??? Bob at Gelco emailed me another version of same resistor /diode circuit, Have installed , will report back with results. , I am planning on putting it up on AEVA though. Thanks guys, making enquiry to Gelco now !!! I ended up using Zeva V3 BMS, it fills the ticket with all the points listed above , and its a LOT more compact with its SMD than my Adruino & Through the hole components could ever hope to be. The Processor & Programming language pretty much the same as Arduino anyway. Topic: Australia first Electric Passenger Plane !! Re: Australia first Electric Passenger Plane !! oops, thanks !! great stuff ! Australia first Electric Passenger Plane !! Really a powered glider , but its a start !! 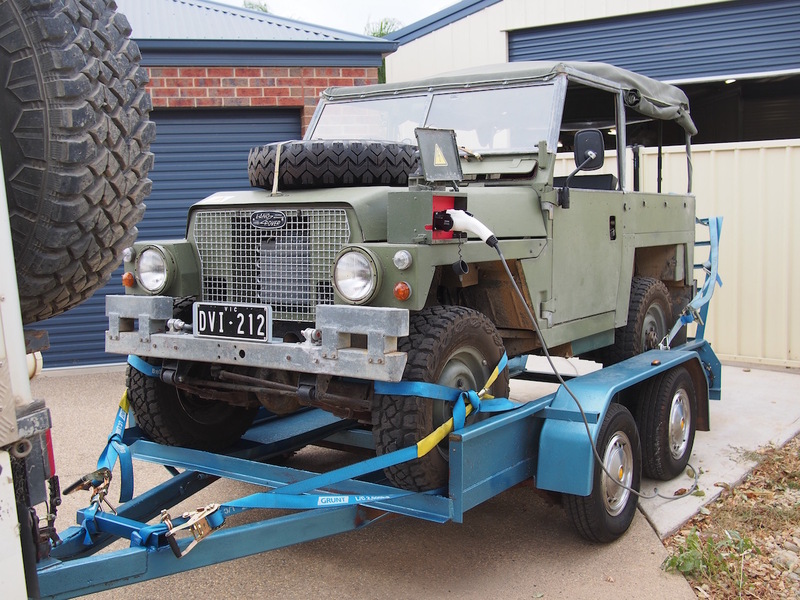 Topic: LandRover conversion done ! Re: LandRover conversion done ! Problem solved, someone on diy electric car forum suggested I swap the phase cables on motor , despite the fact that they were correct as per labeling, this solved the problem , now spools up to 6500 smooth all the way !! Type 2 throttle , deadband & max programmed in spyglass . Max RPM from motor = 24 RPM , what am I missing ?? Topic: Labelling of Battery Compartment ??? Re: Labelling of Battery Compartment ??? Excellent, thanks fellas . Yellow HAZV lightning bolt stickers it is then !! Labelling of Battery Compartment ?? ?